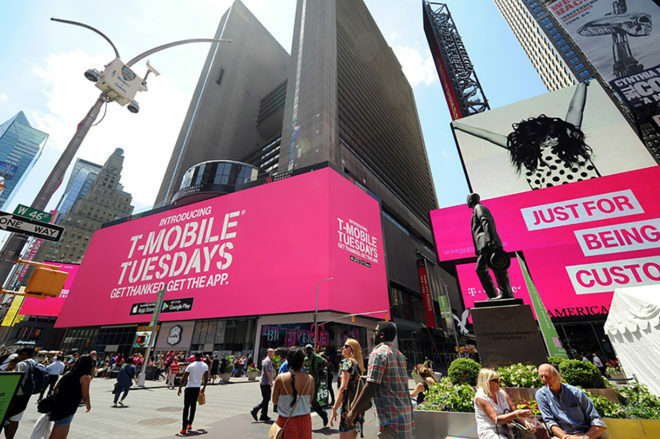 After offering a discount to Boston Market this week, next week’s T-Mobile Tuesday gifts will bring more food deals. On Tuesday, January 29, T-Mobile customers can get a free $2 eGift card to Panera Bread and a 20 oz. smoothie from Smoothie King for $2. Rounding out next week’s gifts is $10 off a purchase of $20 or more at American Eagle. Next Tuesday will also bring with it a grand prize. One winner will get a three-day, two-night trip to Los Angeles, CA for a private screening of the new film Alita: Battle Angel. The trip includes round trip airfare for two to Los Angeles, two nights in a Hollywood hotel, and ground transfers between the airport and hotel. The trip will be taken by February 15, 2020. The winner and a guest will get a behind-the-scenes tour of a 20th Century Fox movie studio including the sound states, production facilities, wardrobe departments, and working sets as well as a two-course lunch and a 20th Century Fox goodie bag. Also included is a behind-the-scenes look at the production company behind Titanic, Avatar, and Alita: Battle Angel and the aforementioned private screening of Alita: Battle Angel. The winner will receive a check for $2,122 for taxes, meals, or other expenses, too. Tmobile tuesdays is going down hill. Its becoming too popular and the freebies are going away. Pay $5 to see a movie, $3 for a meal at Boston Market, $2 off at Panera. I remember the days of free pizza and movies. $5 for AMC movie through atom costs 0.25 with an AMC rewards membership on Tuesdays. White Castle and now Boston Market? I though tmobile liked their customers. Sadly I am wrong.